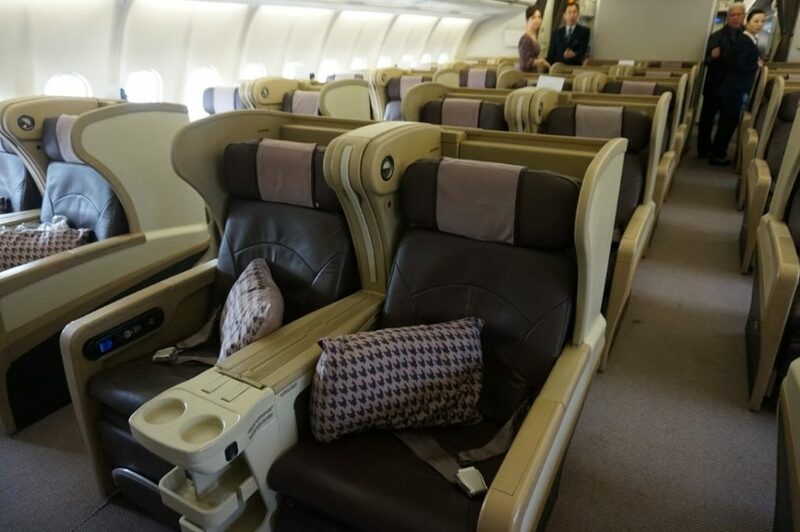 What seats can you expect on your upcoming Singapore Airlines flight? 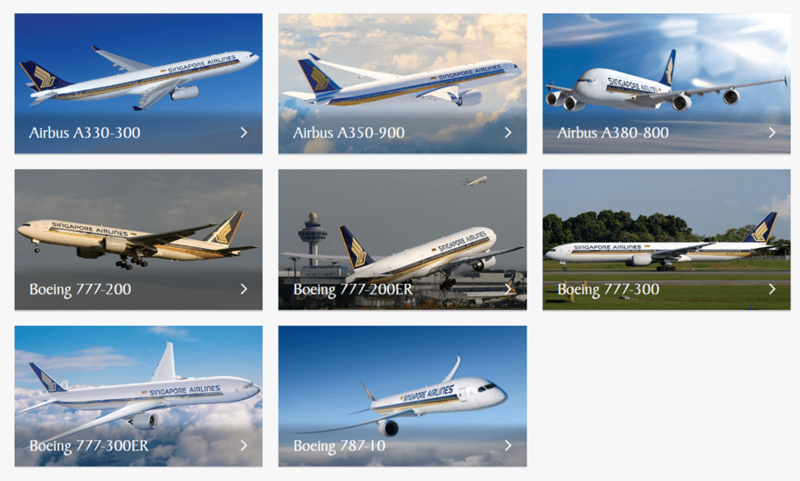 Welcome to The Milelion’s fleet and seat guide for Singapore Airlines, where you can find which aircraft have what First and Business Class seats. You can always find the latest version of this guide here. 9V-SWT’s 1h 7min test flight on 25 March 19. Do a barrel roll! Summary Table- which aircraft have what seats? As of 26 Mar 2019. Do note that I have combined the A350-900LH and A350-900MH into one aircraft type, since they’re basically the same aircraft but with different seats. The A350-900ULR I’ve considered separately because it’s undergone modifications to extend its range. For many people, flying First or Business Class could be a once-in-a-lifetime experience, and the type of seat you get can make or break it. Why does this matter? Well, there’s nothing more sian than splurging your hard-earned miles on a business class seat only to find out you didn’t get what you bargained for. Consider Singapore to Taipei. 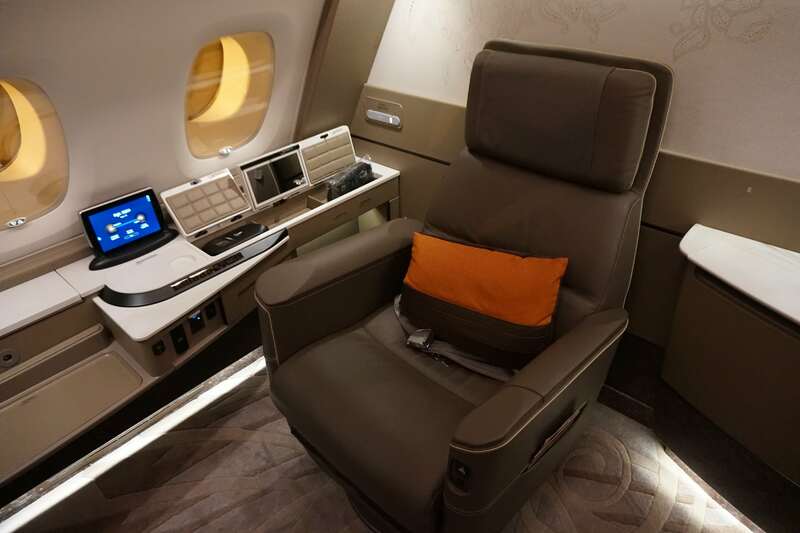 It costs the same number of miles to redeem a business class seat on SQ878 and SQ876. The difference? 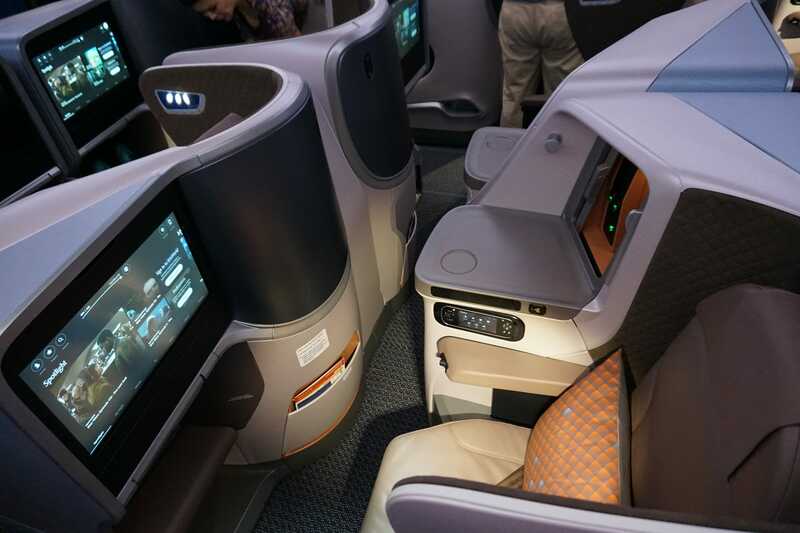 SQ876 is a B787-10 with SQ’s 2018 Regional Business Class seat that goes full flat, and is 1-2-1 configured for direct aisle access. SQ 878 is an A330-300. Its 2009 Regional Business Class seats only go angled flat, and the cabin is 2-2-2 configured with no direct aisle access for some seats. 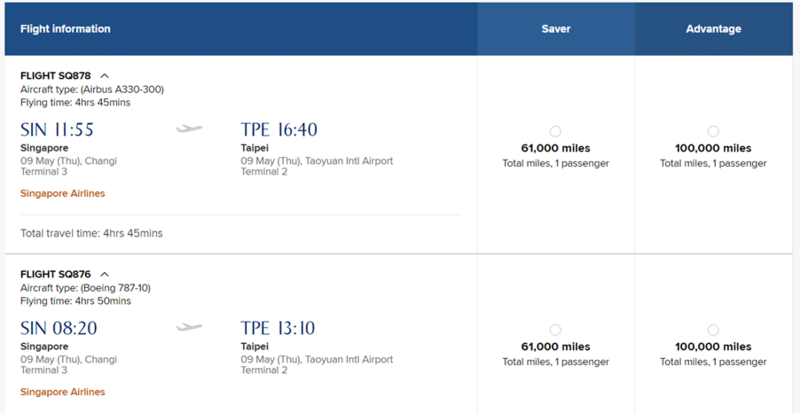 So I imagine if you were a newbie and assumed all the seats from SIN-TPEwould be the same, you’d be pretty steamed for paying the same number of miles for an inferior product. Although more seasoned travelers will know SQ’s fleet at the back of their hands, first-timers to the miles game may be unfamiliar with the eight types of planes SQ operates. 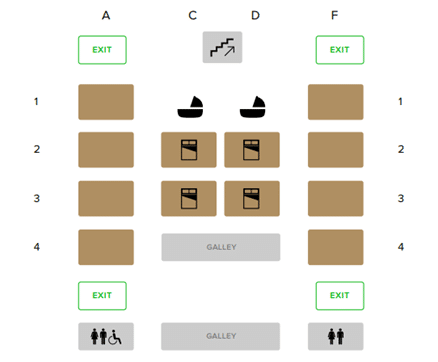 Therefore, I wanted to create a guide to SQ’s fleet, showcasing the different First and Business Class seats available and how you can figure out which ones your flight has. SQ’s 2007 Suites product may be over 10 years old by now, but this still sets the standard for luxury. 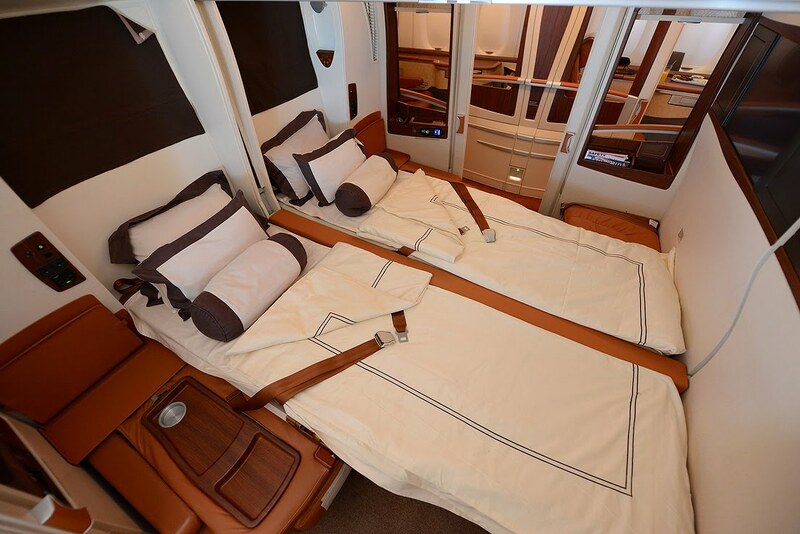 With 12 suites in a cabin, four of which can convert into double beds (note that the hard divider in the middle makes this more like two single beds pushed together), this is the product honeymoon dreams are made of. Yes, there’s a new suites product in town, but even if you end up flying this one I wouldn’t consider it “second class suites” by any means. You can read reviews of the 2007 Suites product here, here, here and here. How to know if I’ve got it? Ah, the new suites. With only six in the new A380-800s in a single aisle configuration (versus 12 in a 1-2-1 layout in the 2007 version), these are guaranteed to offer an unprecedented amount of personal space. Unlike the old suites, you have a separate seat and bed which can both be deployed at the same time (the 2007 version had a bed that folded out from the wall, but that necessitated collapsing the seat). You’ll also have a much more spacious bathroom and, if you’re traveling with a companion, the suites in rows one and two can be converted into a double room. Yes, a double room, with a double bed. You can read a review of the 2017 Suites here. This seat was introduced in 2006 along with SQ’s first-ever lie flat Business Class seat (I’ve written a piece about the history of SQ’s premium cabin seat design here, it’s well worth a read in my humble opinion). It’s now passing the 12 year mark and the seat has obviously seen quite a bit of wear and tear. First Class seats tend to go out empty more often than Business Class seats, so the wear won’t be as bad as on the 2006 Business Class seats, but something to note nonetheless. Alternatively, look at the seatmap. If you see 8 seats in the F cabin, you definitely have the 2006 First Class seat. Way more chio than the 2006 version, the 2013 First Class seat incorporates sophisticated dark leather tones and a little set of orange lines near the headrest that for whatever reason I find super classy. It’s also 7 years newer than the 2006 version and is less likely to be worn. Other great features include a lot more privacy from the aisle and a bigger, crisper TV screen. This old girl was revolutionary when she came out, but time has taken its toll and she’s ready to be put to pasture. 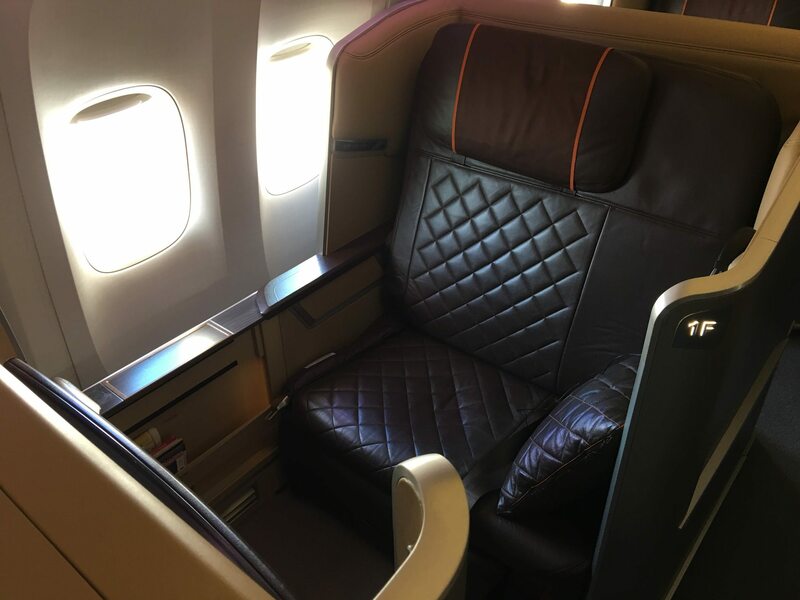 Although these seats are still wider and more private than what a lot of airlines have in First Class, 13 years of service mean you’ll find discolored upholstery, chipped panels, the odd sticky controller and other deficiencies. It’s not a seat you should actively avoid, but it still pays to be informed. You can read a review of the 2006 Business Class seat here. This is the refreshed version of the 2006 seat that SQ launched in 2013. I love the design philosophy behind this seat- it’s sleek, gorgeous and on some newly-refitted aircraft still has that new seat smell. Look forward to a touch screen controller, bigger screen and more lounging positions over the 2006 seat. This seat is noticeably more narrow than its 2006 predecessor, however, but you’d have to be very wide to notice. 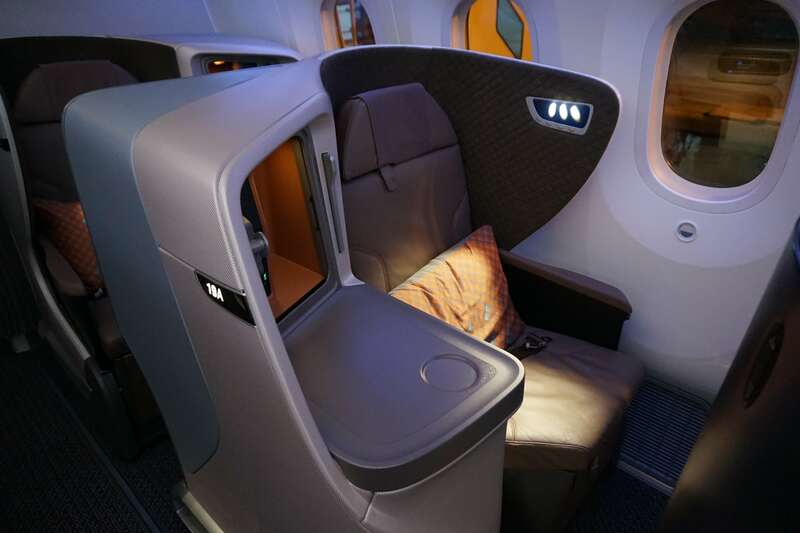 You can read a review of the 2013 Business Class seat here and here. This purple beauty is yet another step in the evolution of SQ’s top of the line business class seat. Unlike the 2006 and 2013 versions, this seat does not need to be flipped over into a bed- you simply recline it at whatever angle you prefer. These seats are supposed to provide better noise isolation as well with the wrap around wings, and although narrower than the 2006 version, will still be plenty wide for most people. 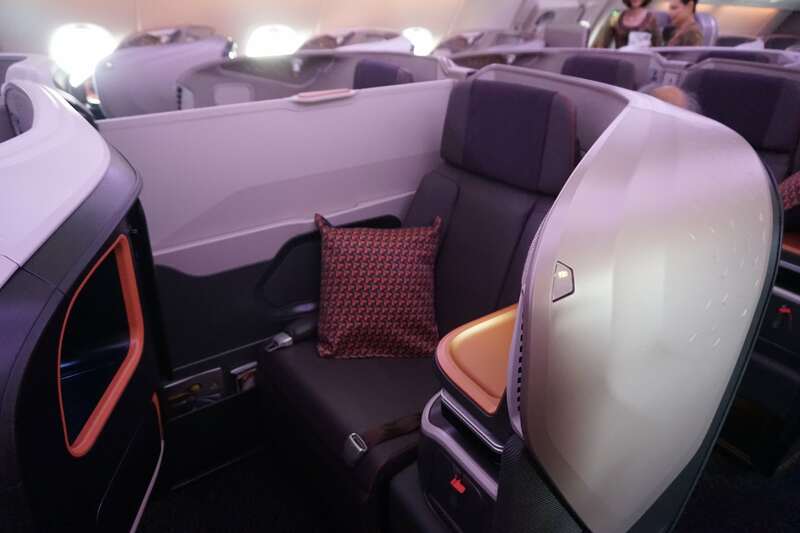 You can read a review of the 2017 Business Class seat here. This is easily my least favorite SQ business class seat- it doesn’t go full flat, it’s 2-2-2 without all aisle access and it’s simply uncompetitive for some of the longer flights SQ deploys it on. These seats most often make an appearance on regional flights to Bangkok, and Saigon. They’re ok for daytime flights (in fact, some weirdos even prefer them because they’re better for work), but good luck if you get one of these babies on a red-eye. And if you burn your miles on this, well, do your homework next time. The good news is this seat will eventually disappear from the fleet once the new B787-10s come in. You can read a review of the 2009 Regional Business Class seat here and here. 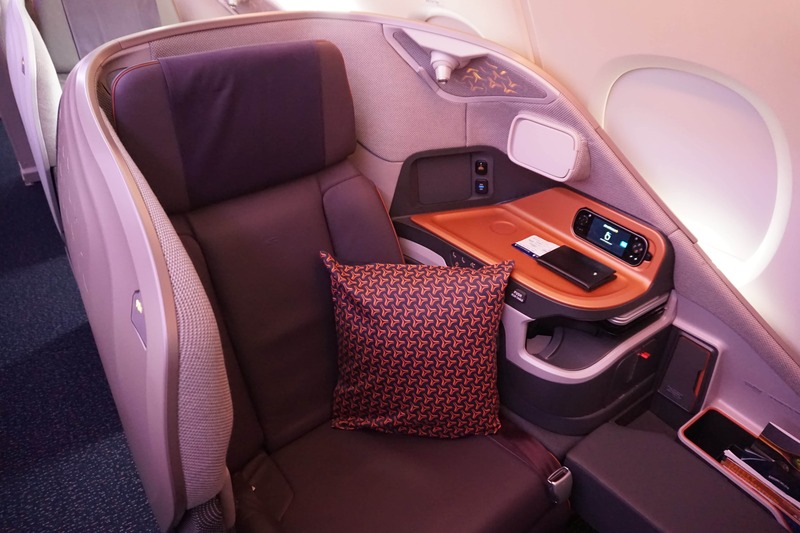 The new regional business class seat is a massive improvement from the 2009 version, and mercifully will become increasingly common as the A330-300s are returned and the older B777 aircraft are retired. 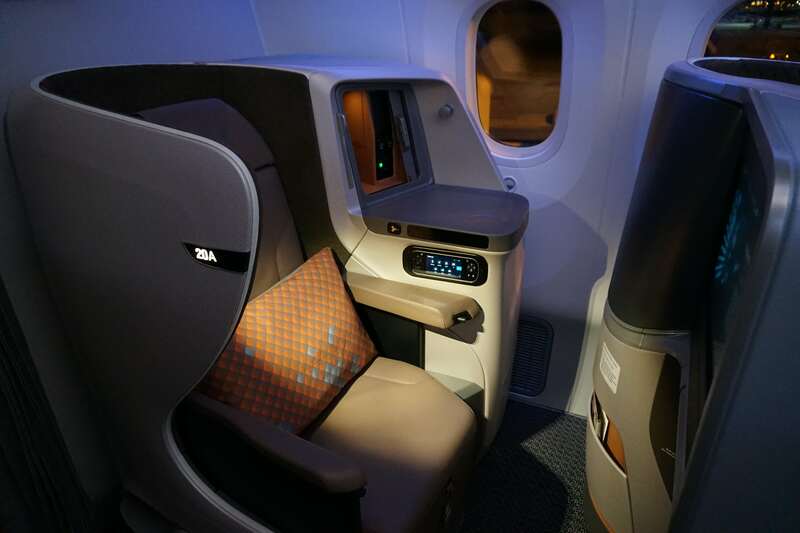 This seat will be installed on the new B787-10s that are being delivered to Singapore Airlines, as well as on the regional configured A350-900s. These seats are 1-2-1 configured with all aisle access, but do keep in mind that some seats at the side will be closer to the aisle and some will be further away. 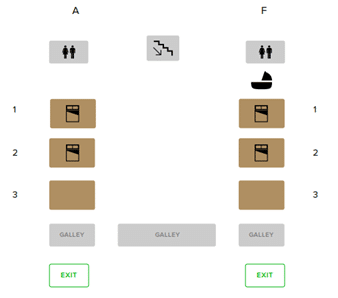 Similarly, some seats in the middle will be couples seats and others will be divorcee seats- so if you’re traveling by yourself be sure to pick the right ones. 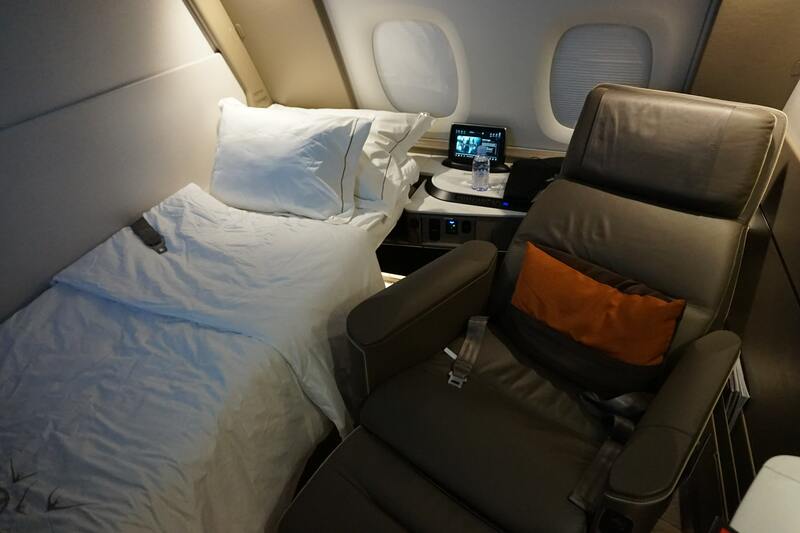 You can read about my cabin tour of the new Regional Business Class seat here, and a flight review here. Airlines reserve the right to swap equipment for “operational reasons”, i.e. as and when they please. Airlines don’t owe you anything if they do this, insofar as they promised you a business class seat and they’re giving you one, but if you make noise SQ will often give you some miles or a KrisShop voucher as compensation. That said, knowing the SQ fleet is half the battle, and I believe with the guide above most people should be well-equipped to know what they’re getting themselves into. Once you know the aircraft type, all you have to do is check the seatmap and you’re all set. Hello! A bit more info on the new 787-10 in the SQ fleet. We are flying SIN-ICN in mid July on what was originally slated to be a A330-300. I received an email this morning that my seat had changed due to a change in aircraft. Sure enough we have been moved to a 787-10 (darn!). While this doesn’t appear to be 9V-SCI, it looks like they moved another -10 to the ICN-SIN medium-haul route. I’m certainly not complaining! Yes indeed- icn is now all flat beds in business class, and it took them long enough! SQ are still using 9V-SRO, the ancient 777-200 now 15.8 years old. Still operating regional routes. Avoid.